This is Cherish and she's the owner of the store. What a dream come true this must be for such a beautiful young lady! She looks like a model! Treats were set up but I abstained, as I was dieting that day. 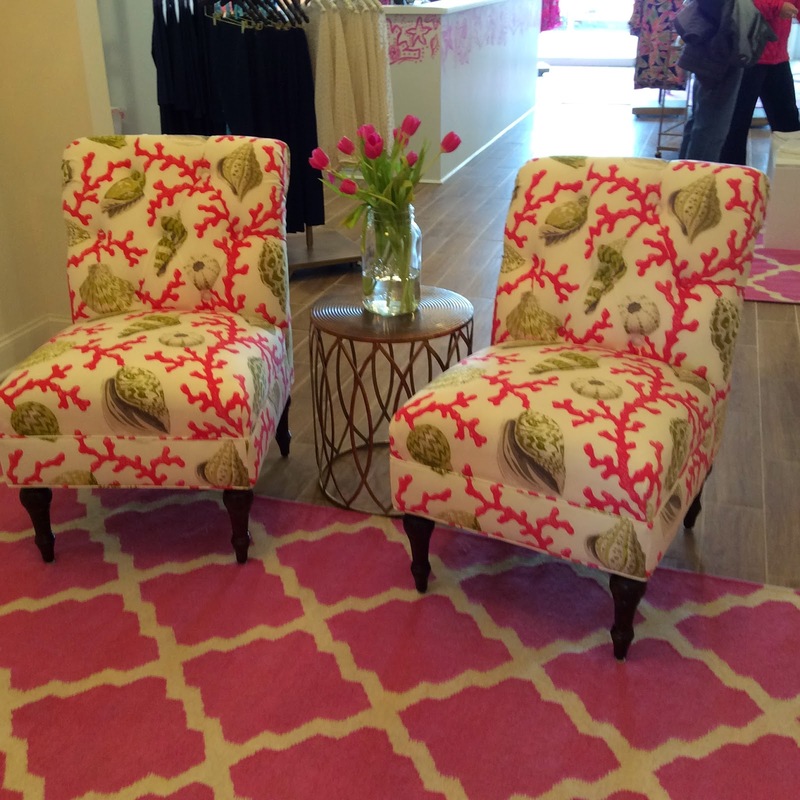 I loved this setting outside the dressing rooms with the gorgeous upholstery. 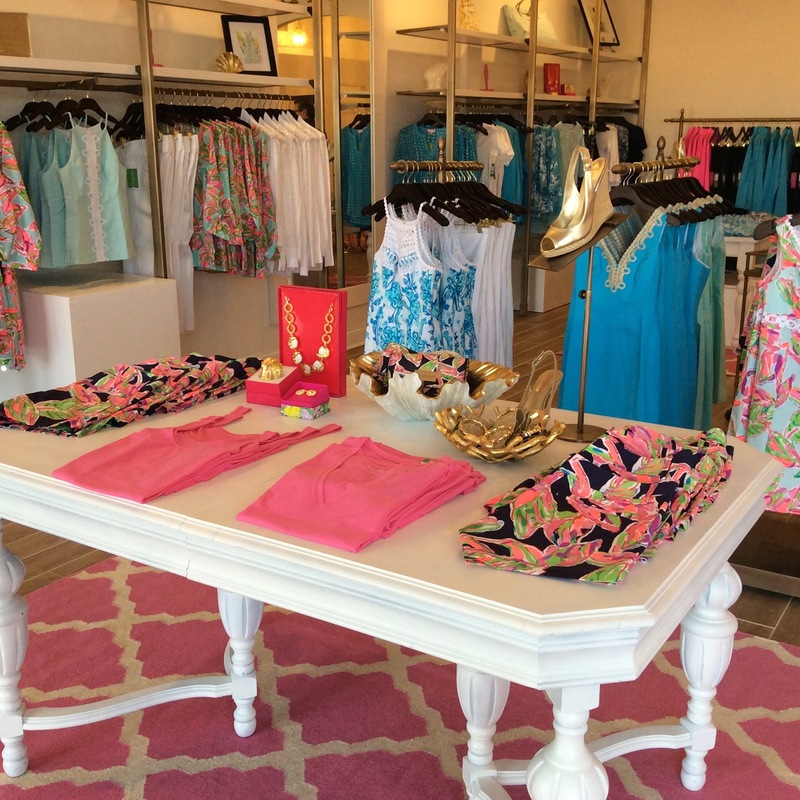 Lots of Lilly eye candy throughout the store. 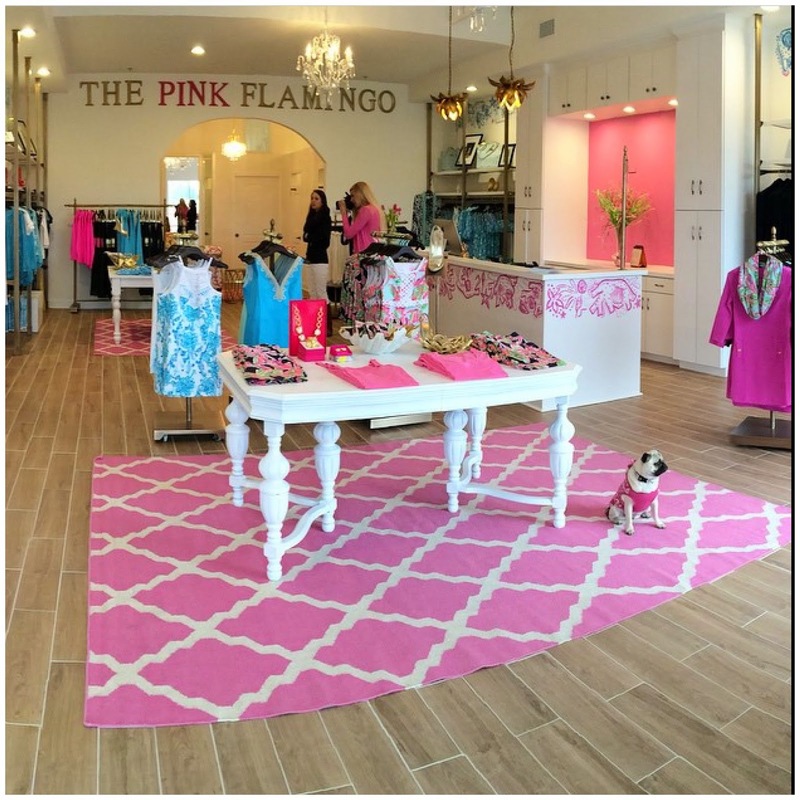 I specifically went in to see the Rosie Shift dress in person and I still love it! However, the Shorely Blue Ottoman Stripe Charlene is actually my favorite...and also the Exotic Orchid Charlene dress that Cherish is wearing in the first photo. LOVE both of them! This is Laurie Byrne...is she not prettiest lady ever?! 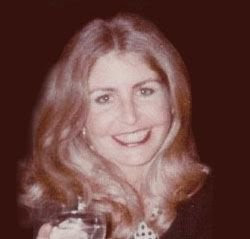 I've been a follower of Laurie's social media sites for several years and wanted to share some of her beauty with y'all! 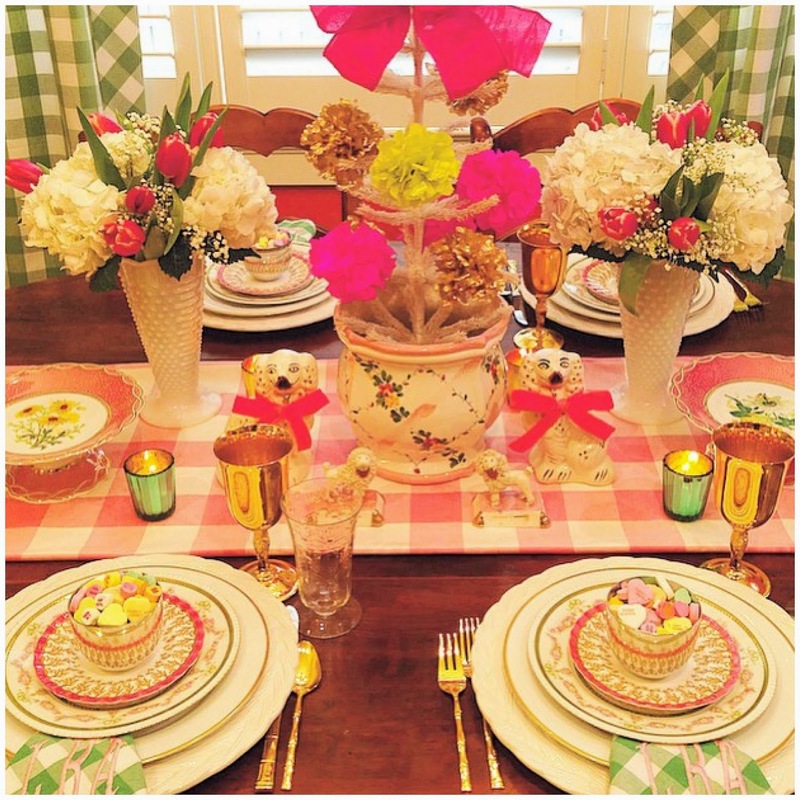 First of all, her tablescapes are always stunning. 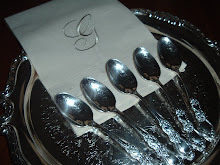 She has the most beautiful dinnerware and accoutrements and she always accents her tables with perfect linens...monogrammed, of course! 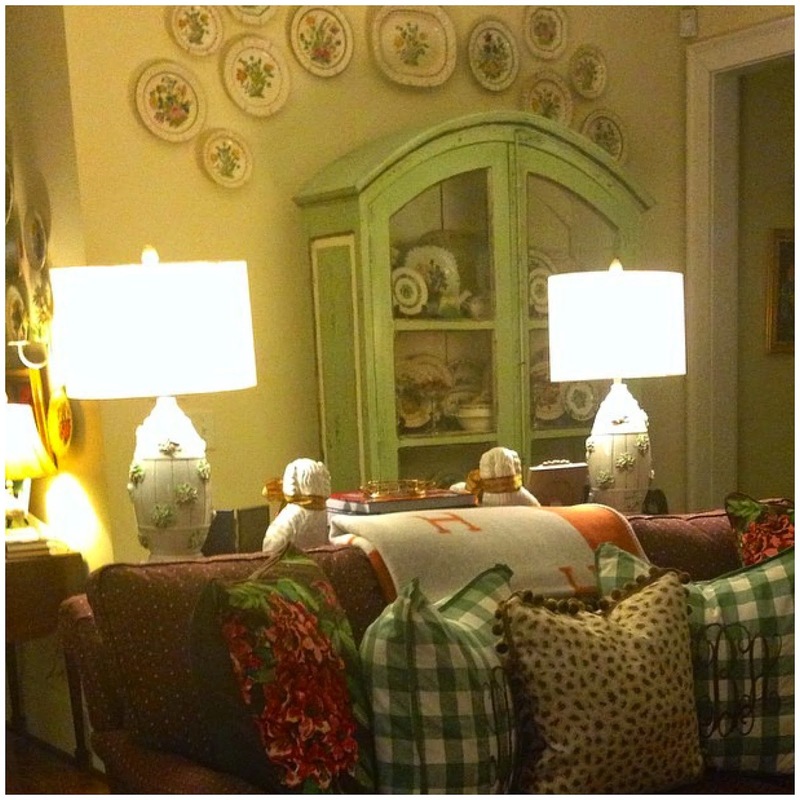 Laurie gives her followers glimpses inside her home, which is decorated beautifully and to the Southern T! 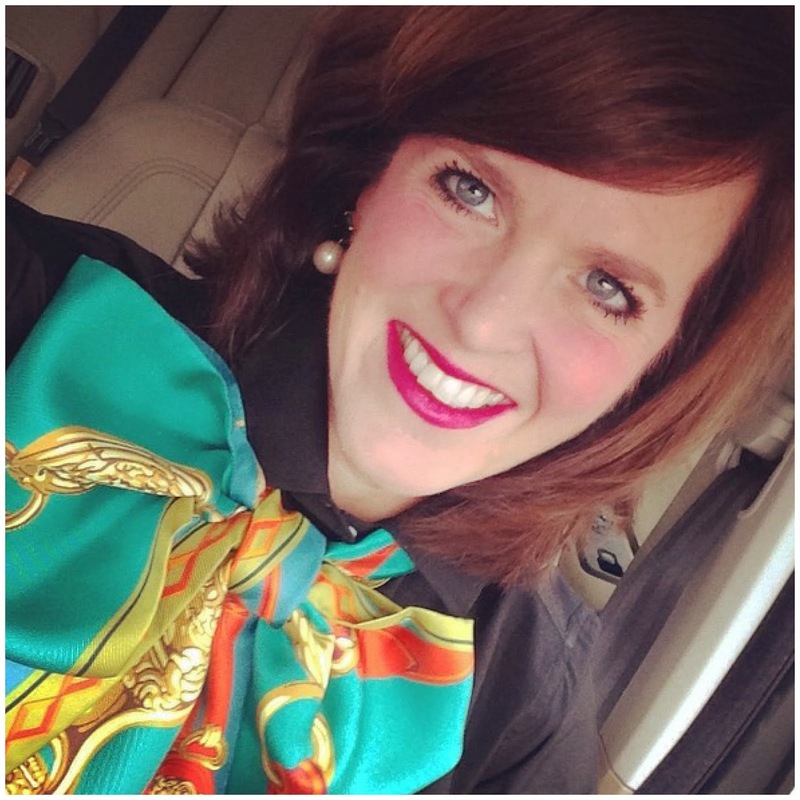 Catch her "flash sales" on her Facebook site, featuring the cutest monogrammed loot! 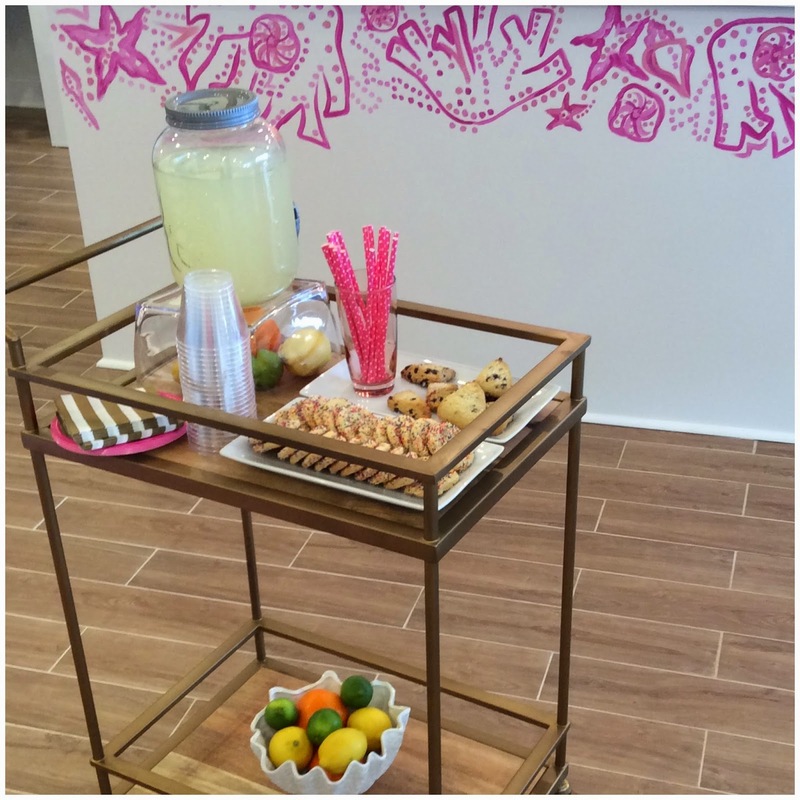 You can see more of Laurie Byrne's stylish photos and cute loot by following her Instagram account. 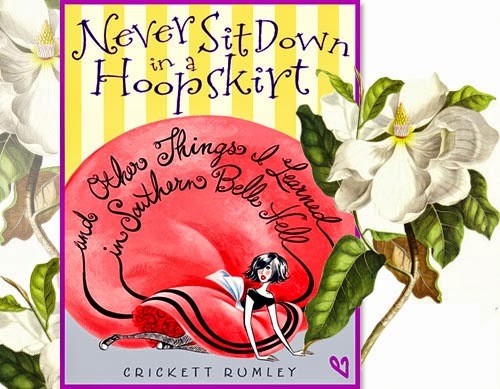 I have just now gotten around to reading this fun book, "Never Sit Down in a Hoop Skirt," by Crickett Rumley...Hoop skirts, magnolias, and etiquette! 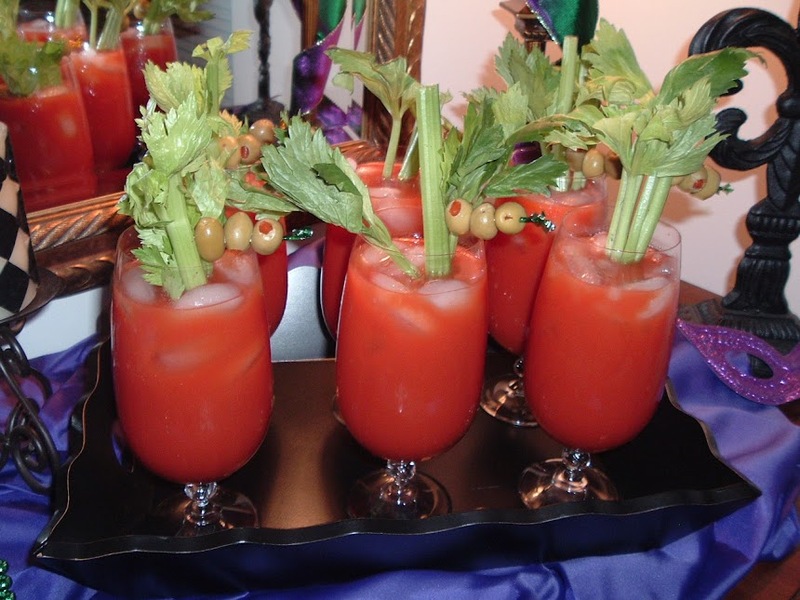 The book is based on the Azalea Trail Maids...Southern Belles who represent the city of Mobile, Alabama. 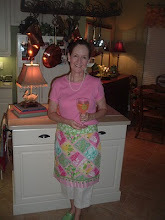 The author spent her high school years in Mobile, but was never an Azalea Trail Maid herself; however, her friends were. 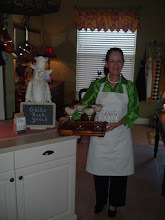 She journeyed back to Mobile and interviewed present day and former Trail Maids for her book. The book features seventeen-year-old Jane Fontaine Ventouras, who is returning to her Southern roots in the small town of Bienville, Alabama, where ladies always wear pearls, sip sweet tea, and serve pimiento cheese sandwiches. Jane is an anti-belle, Goth-girl and her Grandmother got her into the "Magnolia Maid brigade." The book chronicles her reluctance to become a Magnolia Maid and follow the tradition set out by her deceased mother. 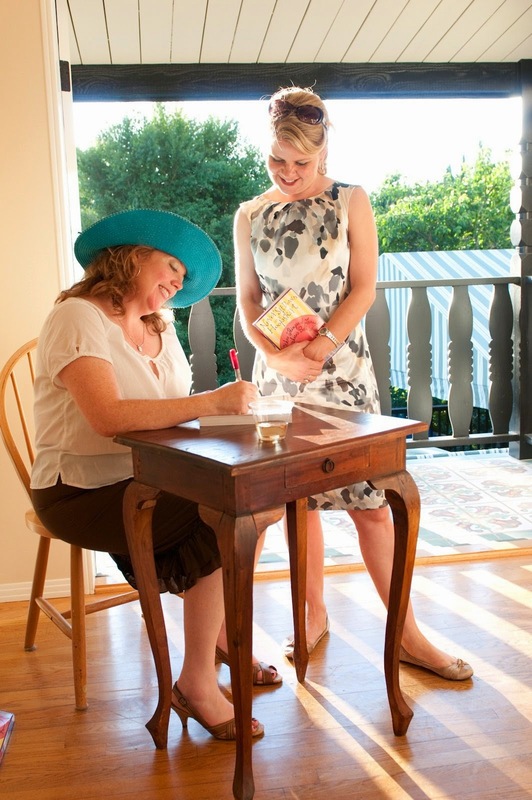 Crickett Rumley autographs her book . 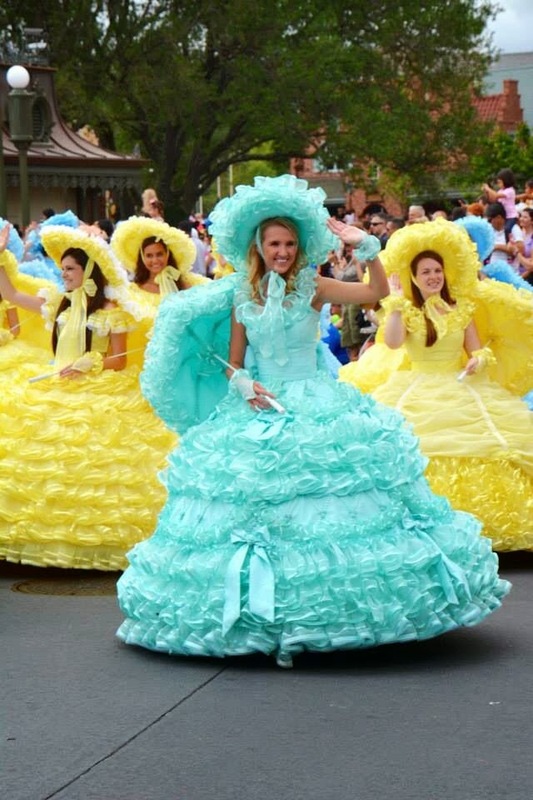 Azalea Trail Maids wear prissy hoop gowns with frilly hats, monogrammed gauntlets, and parasols. The Trail Maids are the city's symbol of hospitality. They greet visitors at the Mobile airport and conventions and also travel around the country representing Mobile. 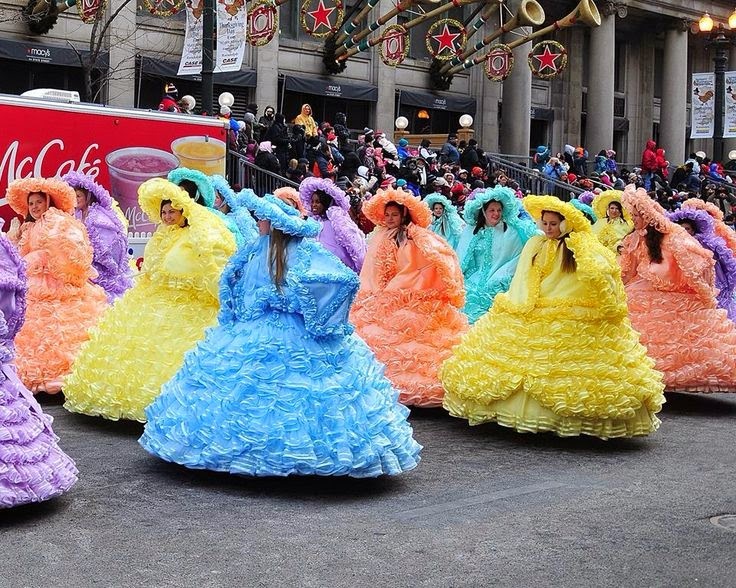 The Trail Maids at the Macy's Day Parade. 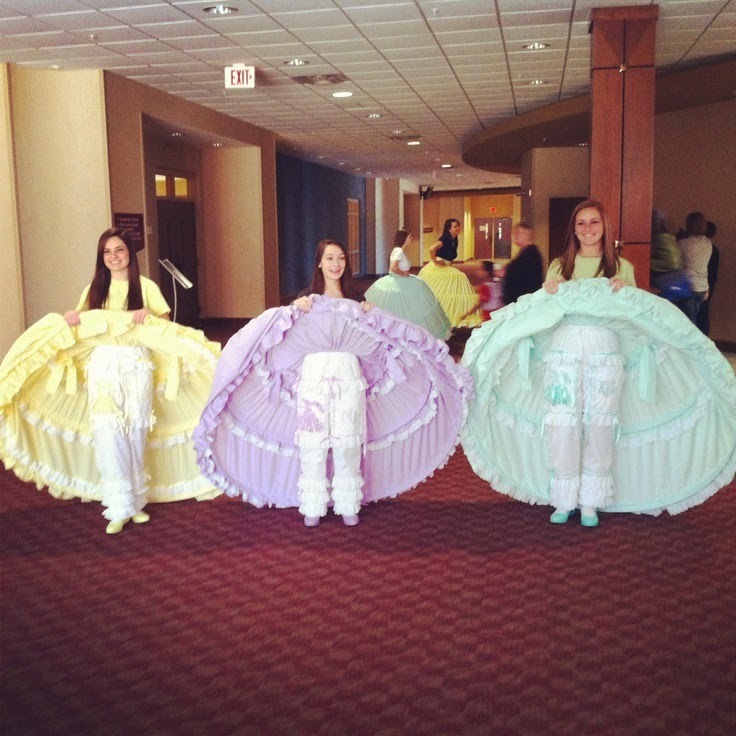 The frilly pantaloons worn under the dresses. The base supplies the Jaycees order for the construction of each outfit consists of dress fabric, steel for the hoop, fur, a wire frame for the hat, a parasol frame and a dress bag. 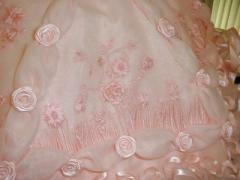 Dress fabric includes 75 yards of organza and 15 yards of taffeta dyed specifically for the Mobile Azalea Trail. The fabric is dyed in Japan and distributed through Berenstein Textiles of New York. When the Maids are dressed the only visible fabric on the dress, hat, parasol and gauntlets is the organza and taffeta. Ten yards of cotton broadcloth is used for the hoop. The cape is lined with one and a half yards of fur. The Pantaloon fabric is where the personality of each Maid shines. 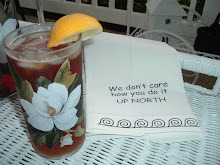 This fabric is purchased by each Maid here in Mobile or by mail order. I adore these dresses and the entire costume and have worn similar (but not near as fancy) gowns when I was a teenager. 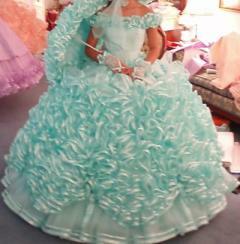 So how in the world does one get around and sit down in a hoop skirt? The hoops are usually flexible and you can press them to pass through a doorway. Sitting down on an armchair is not going to happen though. You need to sit on chair without armrests and sit on the edge of the seat, lifting up the back a few inches before being seated. 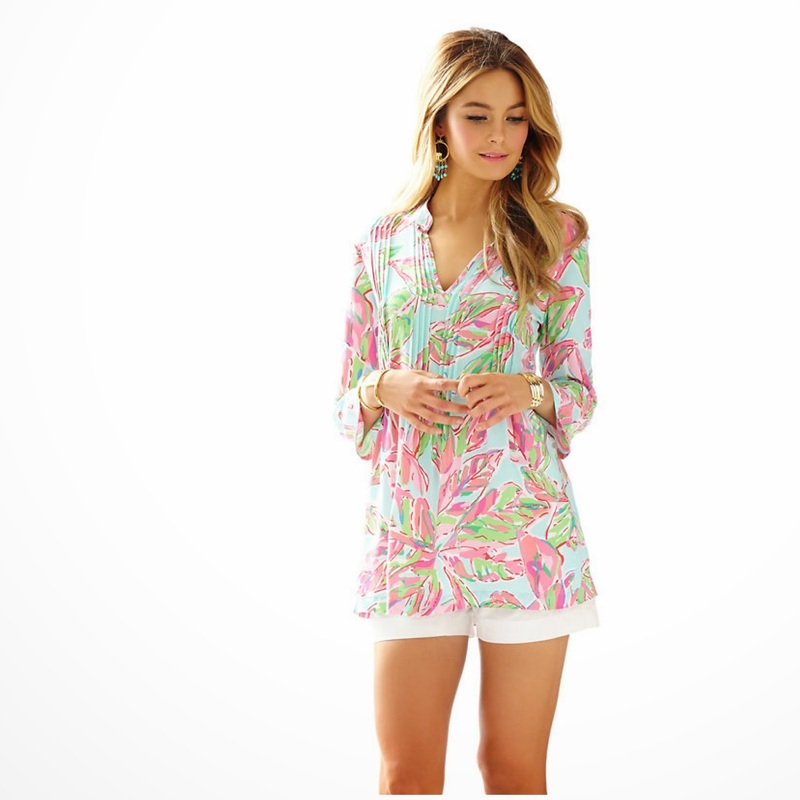 The Lilly Pulitzer print "Multi In The Vias" is my favorite in the Spring 2015 line. The Charlene Knit Shift Dress would be cute worn alone or with a vest. The Rosie Squareneck Shift Dress is adorable and I look forward to trying it on for fit and wearing it with a cardi. 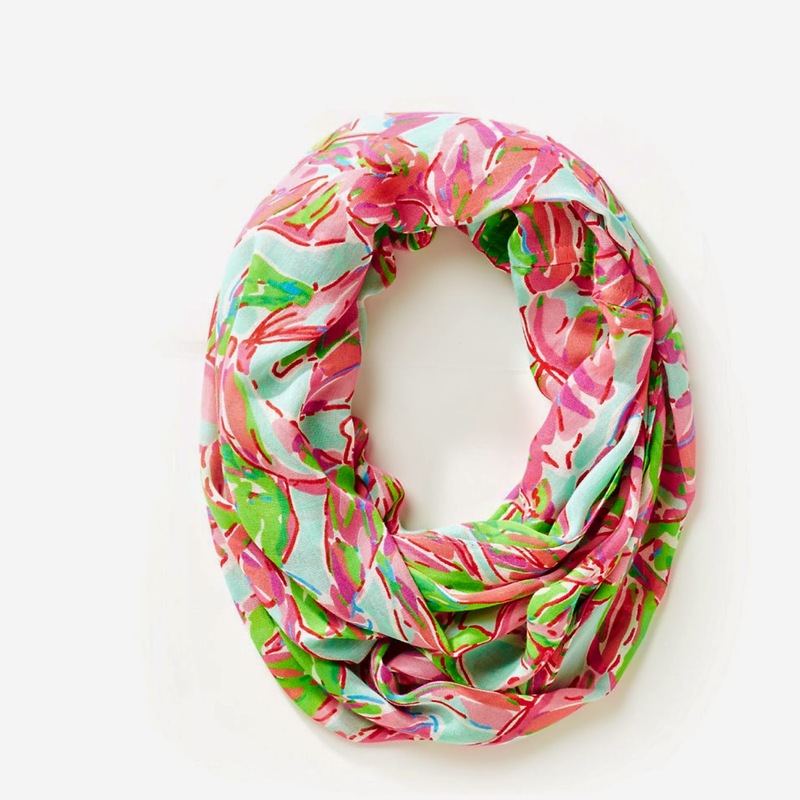 This print is perfect for Spring and the Infinity Scarf is definitely on my wish list! 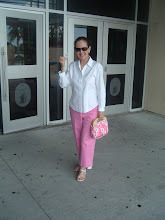 I love the Lilly Bermuda Shorts and these look adorable with the Anna Maria pink button down. The Sarasota Tunic is adorable and looks so comfy, but stylish! 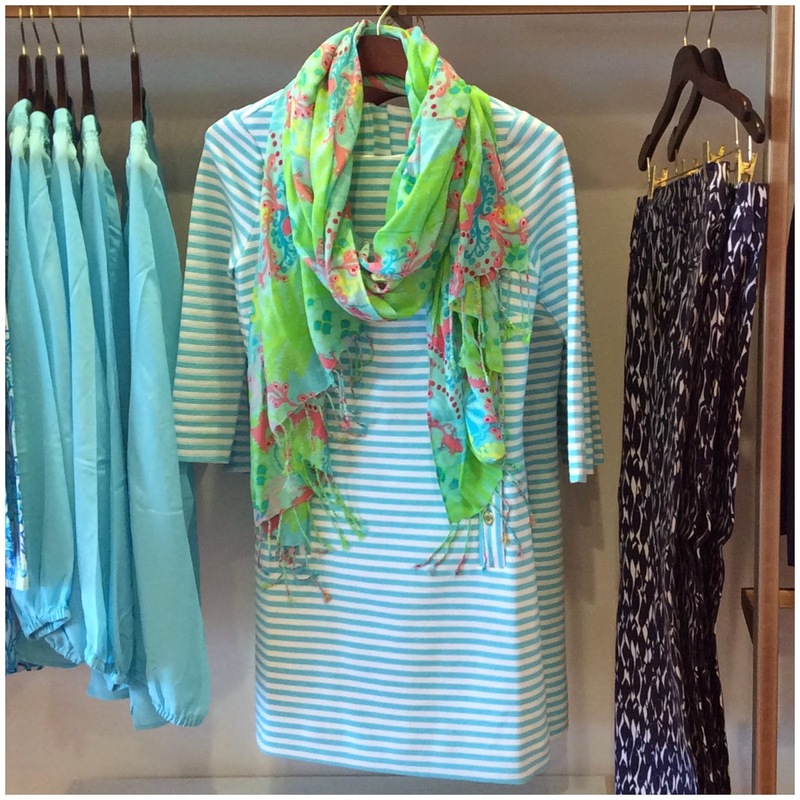 The Briella Cap Sleeve Dress is cute too! I'm pretty much living in puffer vests during all the cold weather here in Middle Georgia. Today I wore a navy blue and pink outfit...with monogrammed boots and monogrammed gloves. 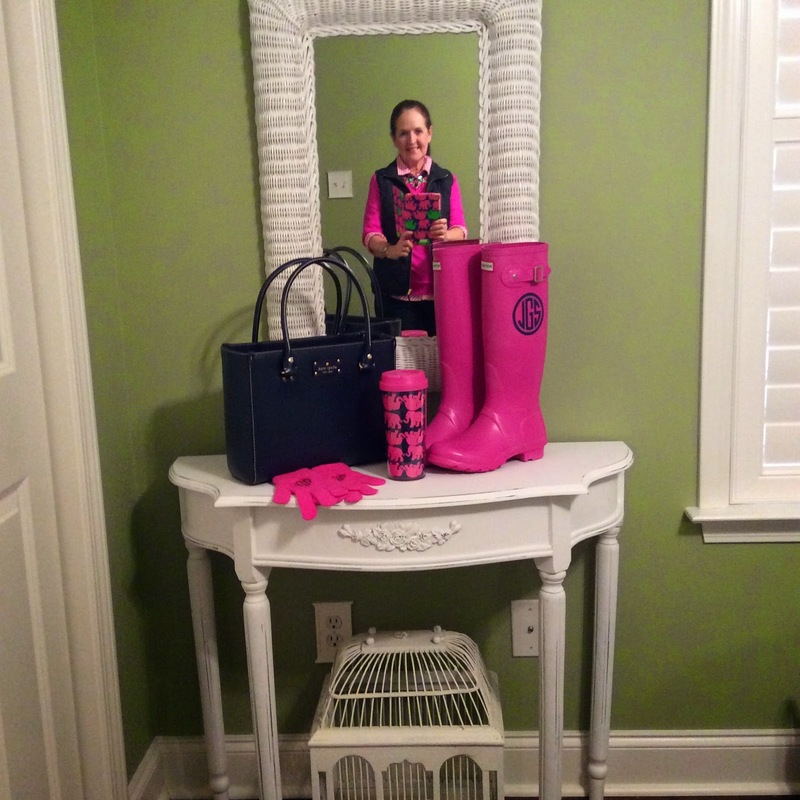 The purse is Kate Spade, the boots are by Hunter Boots, and the tumbler is "Tusk in Sun" Lilly Pulitzer. I have a bunch of these inexpensive gloves and love them monogrammed! 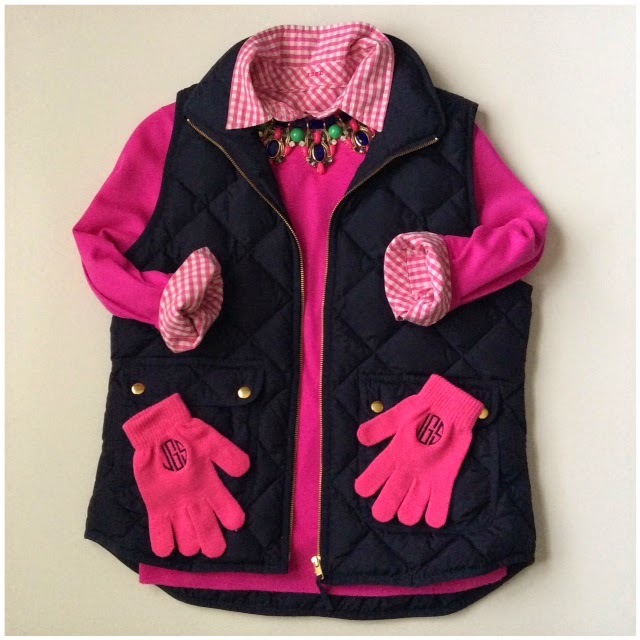 The sweater, blouse, vest, and necklace are all J Crew and the gloves...they are from Walmart! Ms. Henri Price. 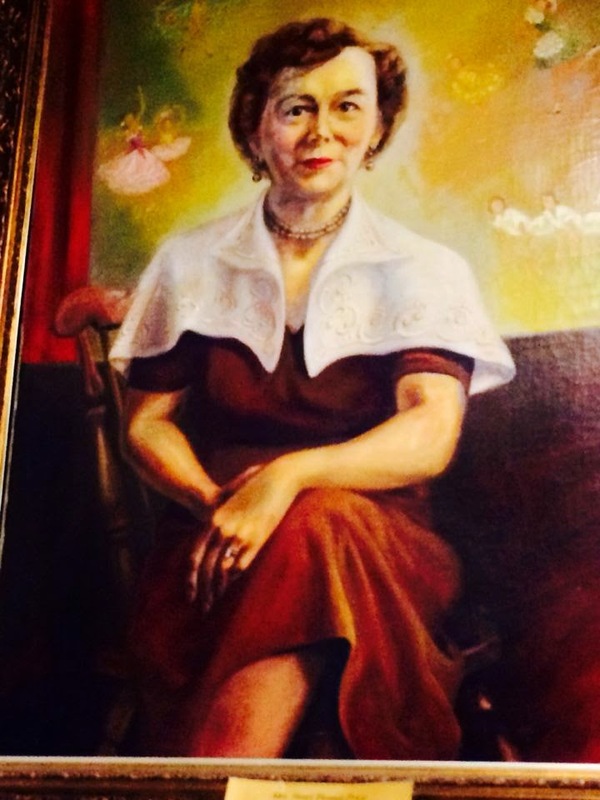 Mama always said she was the prissiest little lady in Augusta. She was the first person to teach me social graces. An institution in Augusta, Georgia, Ms. Price and Ms. Mary Davis (who scared the living daylights out of me) operated Henri Price Academy. I attended tap dancing with them when I was just a little girl and in the 8th grade I started Social Dancing classes with my partner Thurmond Norville, Jr. (Of course our parents got us together). I didn't know then that I would spend four years in Social, go on to Cotillion, and then to be an Assistant to Ms. Price. We started Social at an awkward age and the girls were seated on one side of the studio and the boys on the other. White gloves, closed-toe shoes, and stockings were de rigueur for the girls and neckties and sport coats were a must for the boys. We learned standard ballroom dancing...how to waltz, fox trot, and cha cha cha (just in case we might ever appear on "Dancing With the Stars")! We also learned about the importance of good posture and other social graces. From the start of each season, we trained for the Christmas Formal and the traditional Spring Formal, which was held at the gigantic-to-me-then Bell Auditorium. Dance cards were given to ladies to record the name of gentlemen to whom they had promised dances. The little cards were attached with ribbons and we wore them around our wrist. White gloves were worn to also disguise our damp, nervous palms! 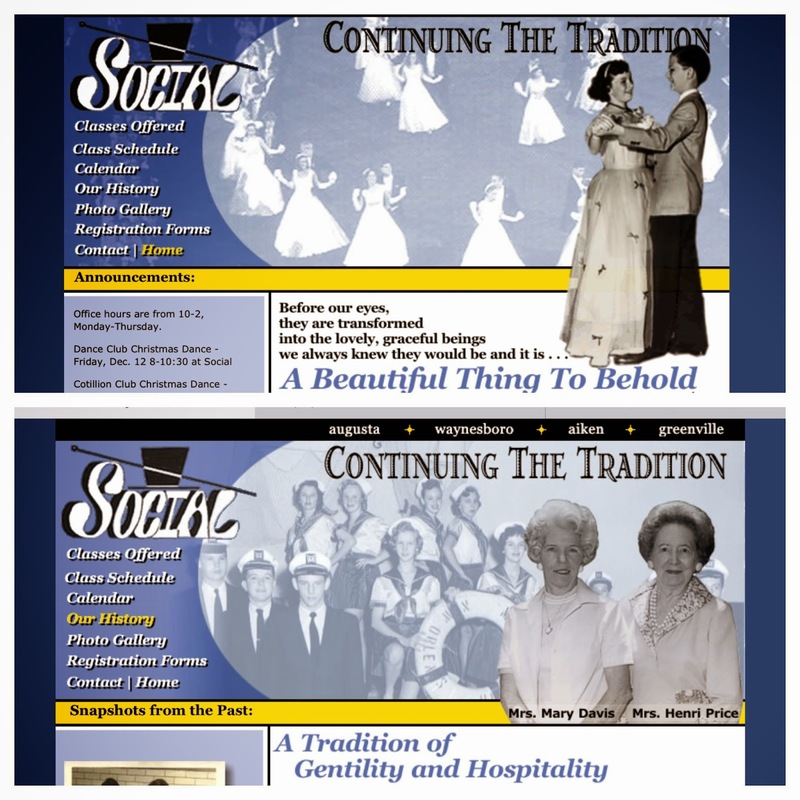 Ms. Price and Ms. Davis have both passed away but I think it's wonderful that today the tradition is continued by one of her former students who now owns and operates Social, Inc.
Photo property of Social Inc. The National League of Junior Cotillions also offers social dancing and etiquette programs. These programs teach young people the importance of social graces...life skills they will use for the rest of their lives! It seems like every home I buy is so dark on the inside. I love the coziness of the lighting, but when I'm getting ready to leave the house, I need bright natural light! 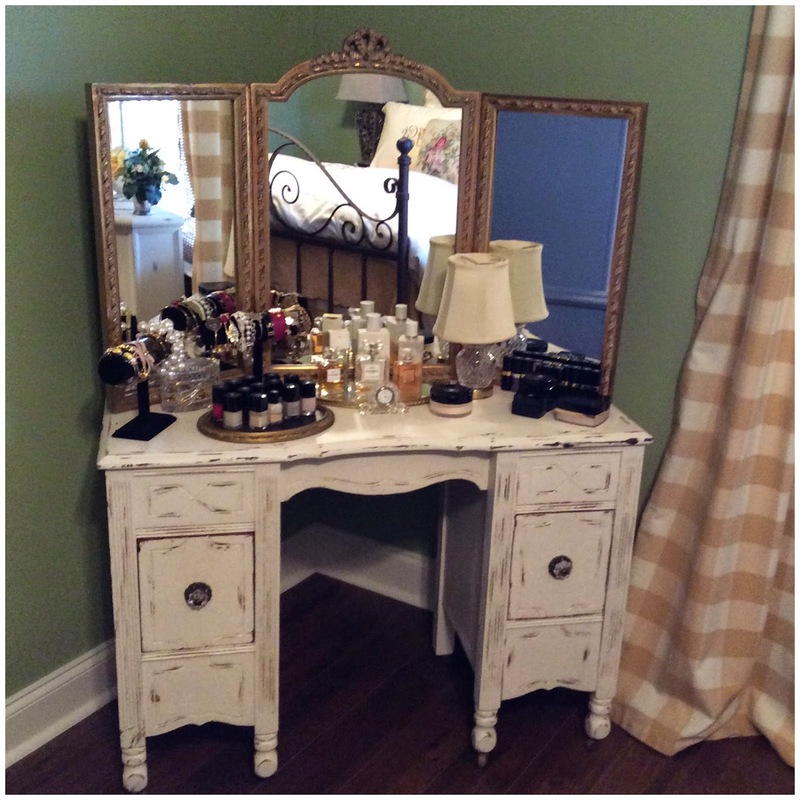 My vanity table is located near a window so that helps when I'm applying my makeup. 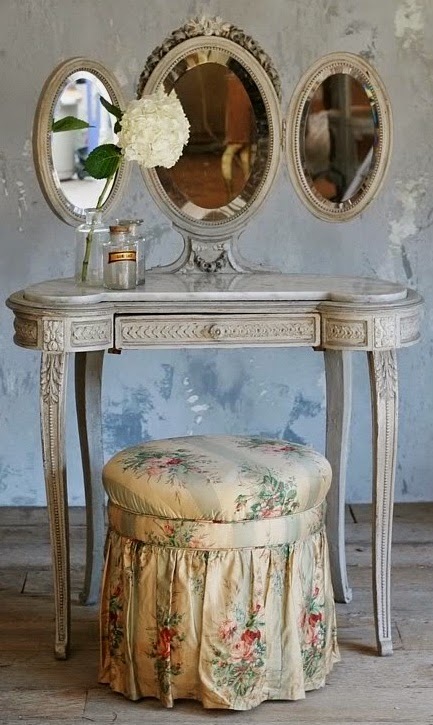 I've been searching antique stores and other spots for a vanity stool for the table, but I just can't find the one that's right...Hoping y'all can help me decide. I like this one, but I think the back is too tall. 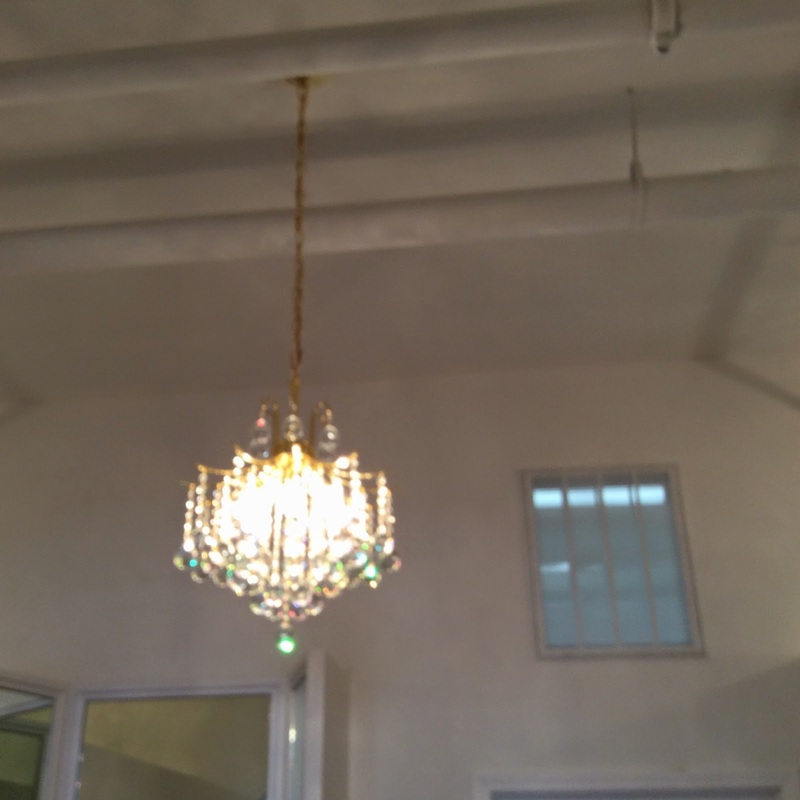 This one is cute, but not exactly what I want...and again, it's too tall. I like the style of this one...not necessarily the fabric. 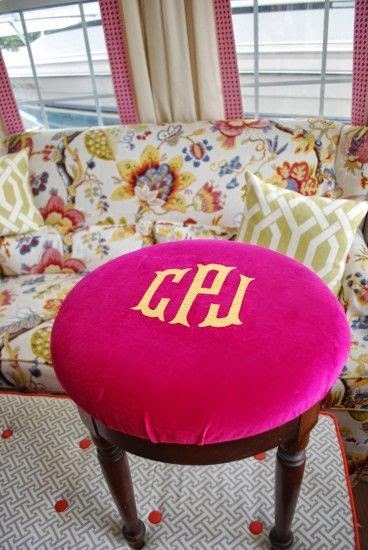 I love the monogram on this one, but I really don't want to sit on my monogram! This one is from Ballard Designs. I like the style, fabric color, and the low back. This is another one from Ballard Designs. I like it, but think I like the one above with the higher back. If y'all have any ideas, I would appreciate hearing from you! Now y'all know you need this cute "But First Let Me Take a Selfie" tee from Marley Lilly! It's free with any $30 order you place during February! Use #MarleyLillySelfie in your Instagram post of your selfie tee for a chance to win a monogrammed gift every weekday during the month of March. 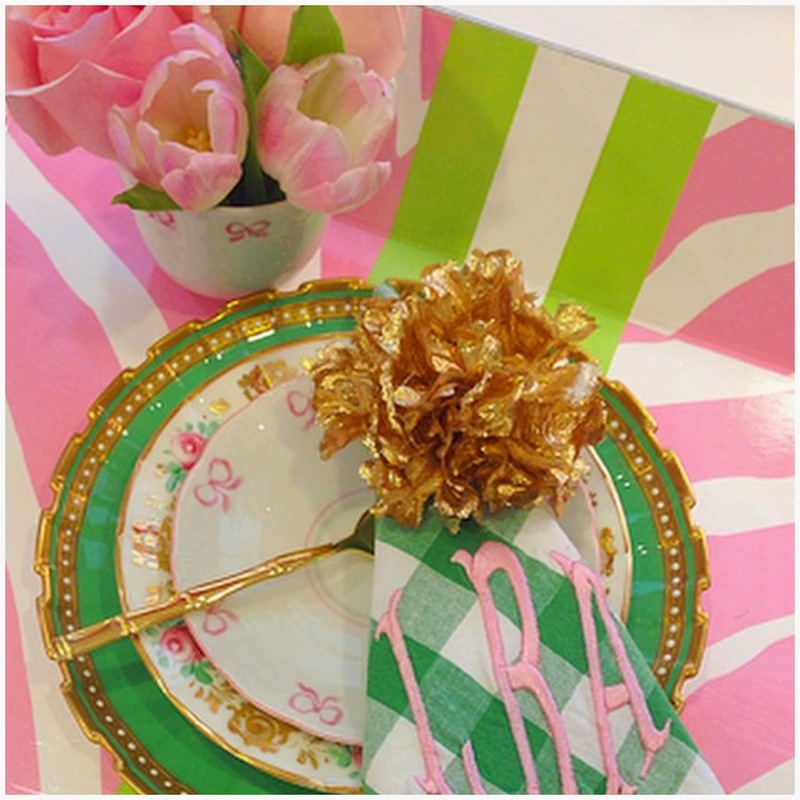 Marley Lilly has all kinds of cute loot on her site...here a few of my favorites. 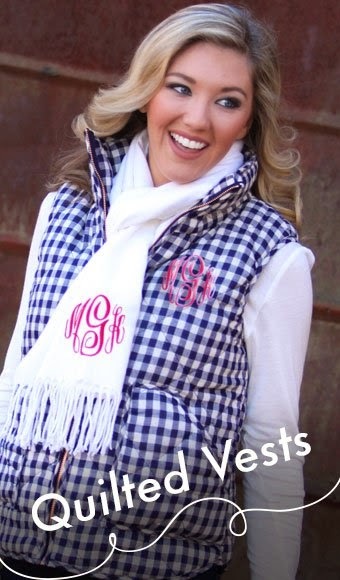 This monogrammed quilted vest is adorable (and on sale for $44.99) and I do love checks! 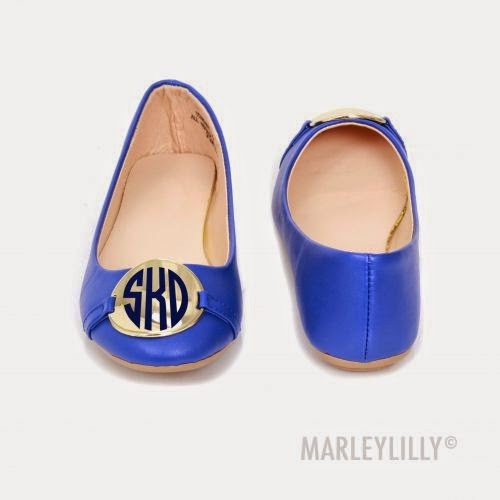 LOVE these monogrammed ballet flats and they are on sale for $19.99! 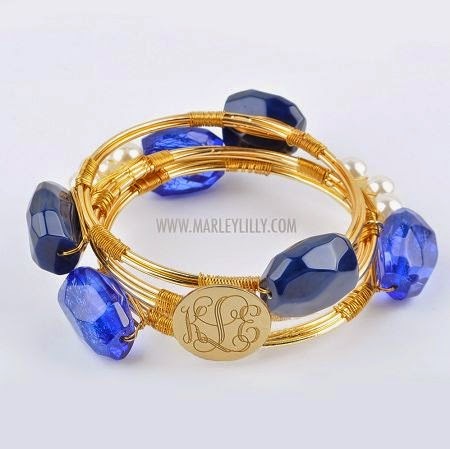 This cute monogrammed bangle is also on sale for $22.49. Love the color and the monogram! 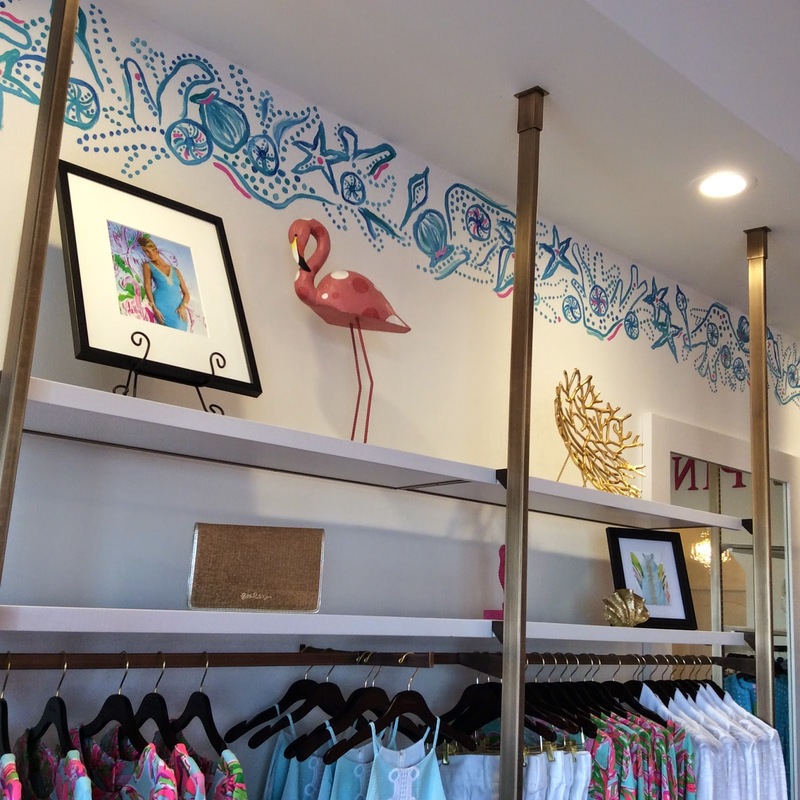 Check out Marley Lilly's goodies and get yourself a free cute tee! 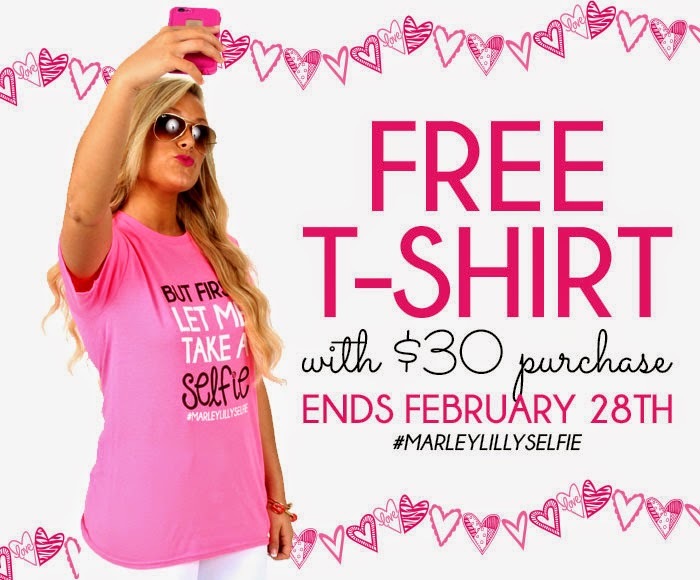 Don't forget to post your selfie and hashtag it #MarleyLillySelfie! While watching a national pageant recently, I could not help noticing one of the girls in the Top 5 descending the stairs very ungraciously. She was wearing a tight evening gown that flared just a bit at the bottom. Instead of stepping down with one foot on each step, she had to step down with the right foot, then the left foot on the same step. It was very awkward! Of course, safety comes first, but if your gown is too tight to descend stairs graciously, you need to wear a different style of gown. I was taught that you stand at the top of the stairs with your head held high and shoulders back. Turn your body at slight angle away from the stair rail and place your hand on the rail. Don't grip the rail unless you start to fall. If there is no rail, you are on your own. 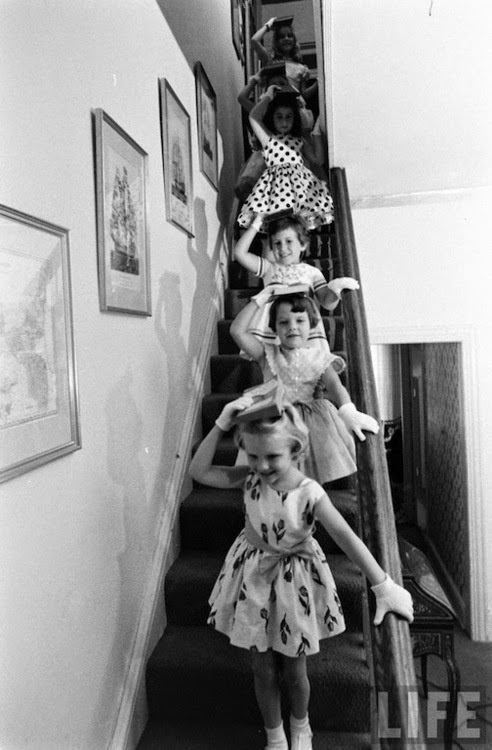 Glide down the stairs gracefully. This takes practice, practice, practice y'all. Above all, please don't clunk all the way down the stairs in a loud and tacky fashion. In honor of National Signing Day, I'm wearing a bit of garnet and gold today along with my Bourbon and Boweties bangles with the Florida State theme. 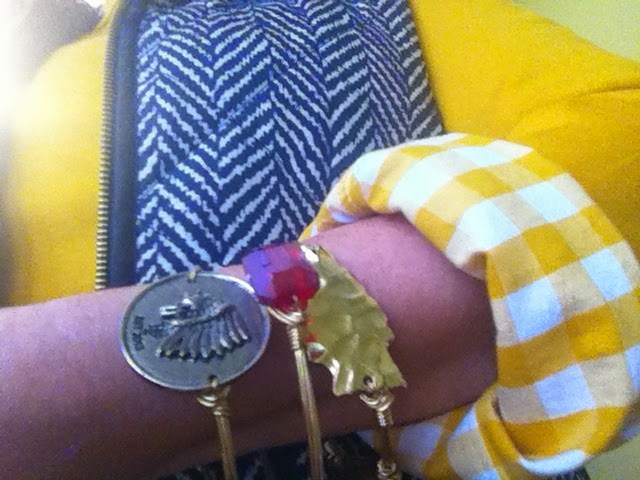 I'm obsessed with these bangles. All of them are made with hand-selected semi precious stones and wrapped with gold wire. They offer a unique statement piece to complete any outfit and look amazing when stacked! My bangle stack of the day. "HERE'S WHAT I'M WEARING." 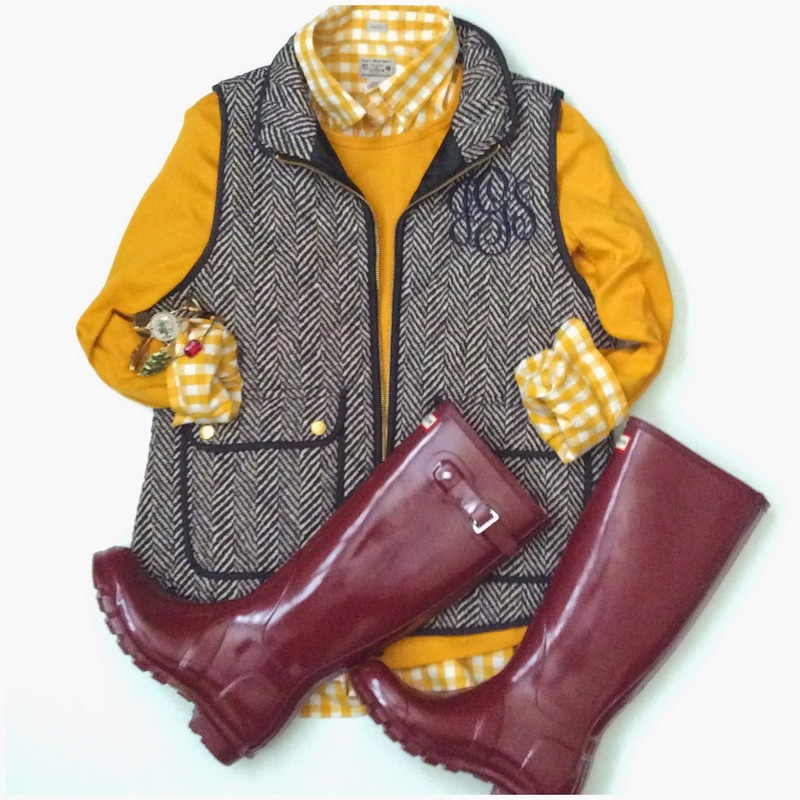 Gingham blouse - J Crew, Mustard tee - Macy's, Monogrammed vest - TJ Maxx, Boots - Hunter Boots.